If you live or work in Euless, you know how congested traffic can get on Highways 183 and 360 as people commute to and from work or go to the always busy DFW International Airport. While you may take extra care to avoid causing a wreck, other drivers may engage in unsafe driving practices, such as speeding, distracted driving, or driving when drowsy. If you are the victim of a car accident, one of the most common injuries you could suffer is a broken clavicle. This can be a very painful injury and could require surgery to repair. As a result, you may need the assistance of an experienced car crash attorney to hold the negligent driver responsible for compensating you for your injuries. The driver may smash his collarbone into the steering wheel during a crash. Passengers can be slammed into the dashboard, with their collarbone taking the brunt of the impact. The force of an airbag inflating—especially common if a wreck occurs on a highway near Euless where drivers are traveling at a higher speed—can cause a clavicle to fracture. If the jerking back and forth of the shoulder in a violent crash or the pressure from the seat belt is great enough, the collarbone could be broken. The risk of a collarbone fracture is even greater for children who are passengers in a Euless wreck due to the fact that their collarbones do not fully harden until they reach about 18 years old. 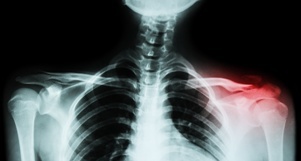 What Treatments Could You Need for a Broken Clavicle Caused by a Euless Auto Accident? While some people make a full recovery, you could suffer complications from a clavicle fracture. You may develop an infection after surgery or the fracture may not fully heal, which could leave you with a permanent lump in the bone. In addition, the fractured bones could cause injuries to nearby blood vessels or nerves or increase the risk that you will develop arthritis in the joint. If another driver caused you to suffer a collarbone fracture in a crash in Euless, you need the assistance of an experienced car accident attorney to hold him accountable for compensating you. Our office is conveniently located in nearby Colleyville however we help injured victims throughout Texas including Arlington, North Richland, Grapevine, Bedford, Hurst, Euless, Irving and all points in between. Contact us online or call us at 817.380.4888 today to schedule your free consultation. We will discuss your legal options and our years of experience in helping Euless crash victims obtain the compensation they deserved.